Ronald McDonald Burns in Hell! Hi everybody, welcome back to another exciting week of gross out humor and high societal comedy with your favorite host, Jay aka ME! We start of the week with some controversial caption action! 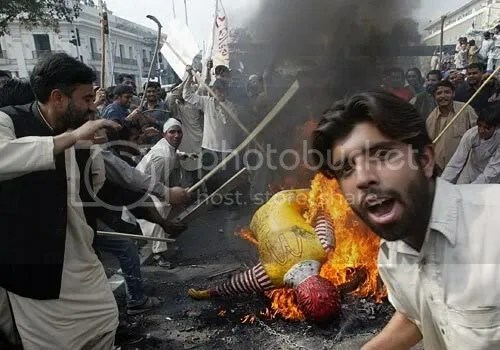 Is that our favorite ambassador of burgers being burned to death by an angry mob?!?! Yes it is!!! Provide a funny caption based on the picture for our laughing pleasure, funniest one wins! !